Every Saturday night, a full-length theatrical piece – the Saturday Night Show – is performed. With titles like Gone with the Wimps, All My Campers, West Porch Story, and Kung-Fu Master of Great Pond, there is never a dull moment. 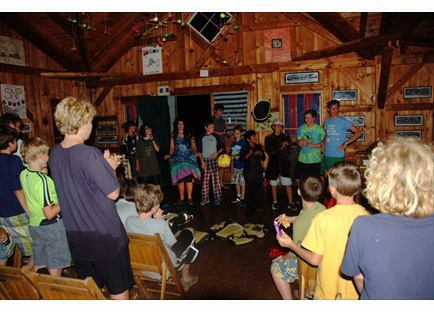 Saturday Night Shows are created entirely by two staff members and a troupe of campers and are always a hit.